If you live in the greater Oklahoma City metro or Edmond areas and are looking for a Dodge Journey, make a quick trip to Vance Chrysler Dodge Jeep Ram in Guthrie, Oklahoma. We are just 10 minutes north of Edmond and 30 minutes north of downtown Oklahoma City. Don’t be fooled thinking we are just a small town dealership because we have a big city inventory and high customer satisfaction rating. 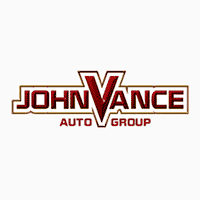 In fact, Vance Auto Group has been faithfully serving Oklahomans for over thirty years. We have nine full service dealerships. That means a huge selection of used cars for you to choose from. And if you are searching for a brand new Dodge Journey, come see one we have for you in Guthrie. There are four models of Dodge Journeys to choose from and they are each designed for adventure. The Journey was built to grow with your family and wherever that takes you. The second row seating tilts up and slides with one hand to access the third row. If you need to transport something other passengers, the seats fold with a 60/40 split to give you up to 67 cu ft of storage area. There is even hidden storage that doubles as an ice chest for traveling or tailgating. Carry anything you need and still enjoy the comfort and style of your Journey. Get real time updates on the weather, navigation, games, music and entertainment with Uconnect 3 with an 8.4inch touchscreen. Enjoy keyless Enter and Go with a stop/start button. Stay plugged in with the latest in technology to keep you humming as you go. You can drive with confidence, knowing the Dodge Journey has your safety in hand with the ParkView Rear Backup Camera, ParkSense Rear Assist Parking and airbags all the way around covering every passenger along with electronic Stability Control and electronic roll mitigation. Keep your family safe and informed with a Dodge Journey. Drive on out to Vance Chrysler Dodge Jeep Ram in Guthrie, Oklahoma where we want to continue serving our Oklahoma neighbors for another thirty years. We are dedicated to keeping customer satisfaction our number one priority.